Java has two types of variables such as primitive and references variable and understanding of them are the very necessary who has just started learning Java. In this post, we'll into the difference between them and how they are use in Java. 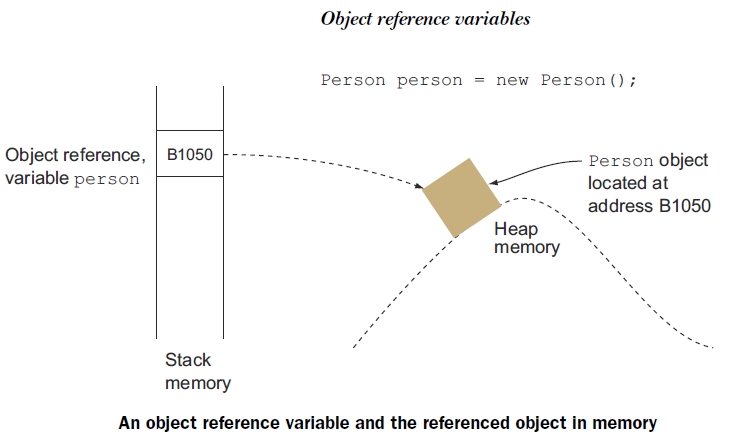 What are object reference variables? Objects are instances of classes, including both predefined and user-defined classes. 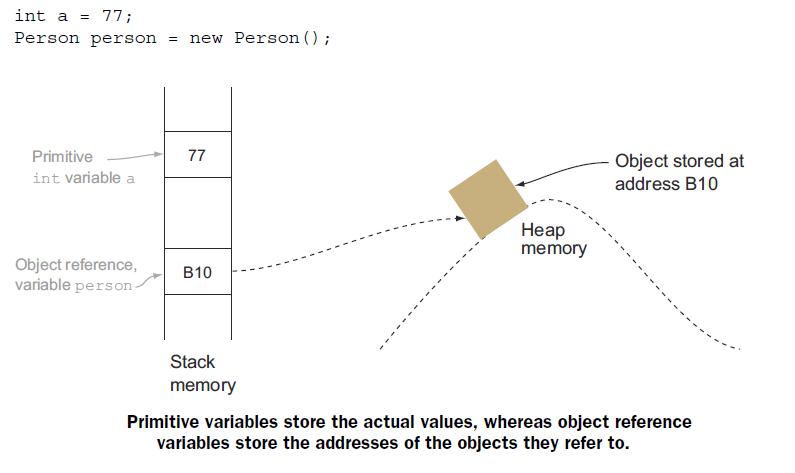 For a reference type in Java, the variable name evaluates to the address of the location in memory where the object referenced by the variable is stored. An object reference is, in fact, a memory address that points to a memory area where an object’s data is located. A new Person object is created. A variable named person is created in the stack with an empty (null) value. The variable person is assigned the memory address value where the object is located. Just as men and women are fundamentally different (according to John Gray, author of Men Are from Mars, Women Are from Venus), primitive variables and object reference variables differ from each other in multiple ways. The basic difference is that primitive variables store the actual values, whereas reference variables store the addresses of the objects they refer to.